This is installment #3 of the discussion of United States v. Vallone, et al., 698 F.3d 416 (7th Cir. 2012), here. Vallone affirmed the convictions of the promoters of a widely marketed fraudulent trust scheme. As is typical in tax crimes cases, a key defense in Vallone is that the defendants did not subjectively know that they were violating a legal duty and therefore did not meet the element of willfulness as defined in a series of Supreme Court cases culminating in Cheek v. United States, 498 U.S. 192 (1991). Ultimately, a finding of willfulness absent a confession from a defendant requires that the jury infer beyond a reasonable doubt from the facts and ambiance of the proof at trial that the defendant had the requisite intent to commit the crime. In may tax crimes cases, willfulness is the only seriously disputed element of the crime. For example, tax evasion (Section 7201) has three elements -- willfulness, a tax due and owing and an affirmative act in furtherance of the evasion. Often, the Government can prove the latter two, so although all elements are submitted to the jury, the real dispute is over willfulness. The same is true or the other tax crimes which all require willfulness or something equivalent to willfulness. You cannot argue to the jury that Aegis was a lawful plan and therefore because it was or is lawful that somehow the defendants are not guilty in this case. You certainly can require the government to prove that each defendant may be convicted of tax offenses only if he knows that the code requires him to pay. That's the government's burden here, they must show that the actions were willful, that they were done with knowledge, and the government concedes that. But you will not be permitted to reargue the lawfulness of the Aegis plan itself. As readers will recall, I have had several blog entries (see here) on the issue of whether taxpayer innocent with respect to a false or fraudulent return based on someone else's fraud can be subject to the unlimited civil statute of limitations in Section 6501(c)(1), here. At the IRS's request, the Tax Court in Allen v. Commissioner, 128 T.C. 37 (2007) held that the preparer's fraud would suffice. On its face Section 6501(c)(1) says nothing about whose fraud is required must be, but over the life of this provision (over 80 years, including earlier acts and codes), the notion that a fraudulent return invokes the unlimited statute of limitations even if the taxpayer committed no fraud had never surfaced until Allen. As I noted in the blogs, if Allen were correctly decided, fraudulent tax shelter promoters' fraud would suffice. Hence, it would appear that all of the taxpayers involved in the Aegis shelters are at risk even if their statutes of limitation had long since expired. And forever is a very long time. For further reading on the Allen issue, see Jeremiah Coder, The IRS's Misguided Fraud Whodunit, 137 Tax Notes 7 (Oct. 1, 2012). The Seventh Circuit affirmed the convictions of defendants who promoted the Aegis system of tax evasion. United States v. Vallone, et al., ___ F.3d ___, 2012 U.S. App. LEXIS 20308 (7th Cir. 2012), court version is here [the link seems to be temporary; I will supplement with the permanent court link later]; Justia version (same as court) is here. Those who want to link to the oral arguments can do so here (which probably will have the permanent link to the decision when it is posted). The opinion is massive (199 pages in the court's original pdf and and 63 pages in LEXIS-NEXIS's pdf); it took over 15 months after oral argument (on May 3, 2011) to produce in final. The opinion covers a lot of issues that arise in major abusive tax shelter cases and, sometimes, in other forms of white collar cases. Accordingly, I propose to discuss in several blog entries. This blog will be devoted to the facts. Essentially, I will just cut and paste the facts that are important to understand the scheme and the issues that will be discussed in later blogs. The Aegis trusts were typically marketed to wealthy, self-employed individuals whose income could not be easily traced through the W-2 forms that are issued to ordinary taxpayers. Aegis representatives, including the defendants, conducted seminars promoting the Aegis trusts in cities around the country. Attendance at these seminars was by invitation only, and guests were charged between $150 and $500 to participate. Attendees were told at such seminars that use of the Aegis trust system would reduce if not eliminate their federal income taxes. * * * * Those persons who purchased packages of one or more trusts were also encouraged to purchase trust management services from Aegis Management or Sigma, for which they would pay thousands of dollars annually on top of the $10,000 to $50,000 they paid for the trusts themselves. These management services included advice and counsel on using the trusts to conceal income and assets from the IRS. Defendant argues that his appellate counsel was ineffective for failing to appeal the Court's exclusion of the testimony of two Freedom Book customers, Robert Eiler and Robert Schulz. The Court permitted Defendant to testify about why he used offshore accounts as part of his extensive testimony about his beliefs. However, the Court properly prevented Defendant from introducing the testimony of Eiler and Schulz about their experience with offshore banks' treatment of IRS levies "as proof that they don't" honor them. (16Tr. 4350-51.) The Court determined that Defendant was attempting to improperly introduce evidence that his beliefs were correct, rather than his basis for forming his beliefs. Accordingly, Defendant's appellate counsel was not unreasonable for failing to challenge the Court's determination. Even if appellate counsel had raised the issue, there is no indication that the results of Defendant's appeal would have been different. In some of the indirect methods of proving either tax evasion or tax perjury by omission of gross income, the Government must prove beyond a reasonable doubt that the defendants had taxable income materially beyond what they reported on their income tax returns. In order to do that, the Government is required to show a likely source of the income being imputed to the defendant under the indirect method. See e.g., United States v. Sorrentino, 726 F.2d 876, 879-80 (1st Cir. 1984). The drill is to negate the possibility of nontaxable sources for the proved cash flow, so that the defendant can be convicted of the crime charged (evasion or tax perjury). In United States v. Dorsey, 2012 U.S. App. LEXIS 19978 (3rd Cir. 2012), here, a nonprecedential decision, the defendants, husband and wife, were convicted of "conspiracy to defraud the IRS in violation of 18 U.S.C. § 371, filing false tax returns for tax years 2004 through 2006 in violation of 26 U.S.C. § 7206(1), and, as to Troy Dorsey only, structuring cash deposits to avoid tax reporting requirements in violation of 31 U.S.C. § 5324(a)(3) and (d)(2)." Although it was not part of the government's affirmative case, we note that Troy Dorsey testified at trial. When asked, he could not identify the amount of cash he deposited over the three-year period in question, and he did not offer any alternative, non-taxable explanation of its source. I have recently blogged on the issue of whether the fraud of some person other than the taxpayer signing the return which makes the return fraudulent allows the IRS an unlimited statute of limitations under Section 6501(c)(1), here and here I list below the blogs that deal with that issue. In Allen v. Commissioner, 128 T.C. 37 (2007), here, the Tax Court held that a preparer's fraud with no fraud on the taxpayers' part can invoke the unlimited statute of limitations under 6501(c)(1). In my blogs, I questioned that holding and noted some of the possible other situations that, if correct, the Allen holding could and logically should apply. Specifically, I mentioned that proliferation of abusive tax shelters such as Son-of-Boss that, in criminal cases, have resulted in convictions of the promoters for tax evasion with respect to the taxpayers' returns. Even if one were to assume that the taxpayers were not guilty of fraud (the Government conceded that for purposes of the criminal case), the promoters' fraud that resulted in the returns being fraudulent seems to comfortably fit the Allen holding if Allen is correct. Although restitution is normally not allowed for a tax crime of conviction under Title 26, it is allowed for a tax crime convicted under Title 18 -- here the defraud / Klein conspiracy to impair or impede the lawful functions of the IRS. I am surprised that the parties did not resolve this issue in the plea agreement. I think the Government is now trying to do that in plea agreements. (See excerpted provisions of my text below.) Perhaps the parties were just too far apart and could not resolve it. And, of course, when the case is fully worked over civilly, I suppose that the actual tax due could be determined to be less than the amount of the restitution. I suppose there might be some way to correct the restitution awarded if that were to occur. However, based on my limited anecdotal experience, I think that the Government's calculations of tax loss / restitution are generally so conservative that a lesser civil tax number later is very rare. Indeed, since tax loss / restitution should include only the tax amount attributable to fraud, the defendant may conceptually owe more tax dollars after audit if the IRS wants to chase that down further. There is no indication of whether the defendant can pay the restitution / tax, so the issue in the long term may be moot. TIGTA Report 2012-30-083 (7/27/12), titled The Collection Function Develops Quality Fraud Referrals but Can Improve the Identification and Development of Additional Fraud Cases, here. Tax fraud is a deliberate and purposeful violation of Internal Revenue laws by those who do not file and properly report their income and expenses. When criminal fraud or civil fraud penalties are not adequately pursued, the IRS's efforts to reduce the Tax Gap and the noncompliance that contributes to it can be undermined. Taxpayers who do not voluntarily pay their share of taxes create unfair burden on taxpayers who timely and fully pay their taxes and can diminish the public's respect for the tax system. The Fraud Office reported that declined fraud referrals from Fiscal Year 2007 to mid-Fiscal Year 2009 exhibited common weaknesses. In addition, a Fiscal Year 2009 Fraud Customer Survey of the Collection function revealed many respondents do not look for fraud in every case, and many revenue officers (RO) responded that they would not contact a Fraud Technical Advisor for assistance in the future This audit was initiated to assess the effectiveness of the Collection Fraud Referral Program, and whether the Collection Field function is adequately considering, identifying, and developing fraud cases for referral to Criminal Investigation (CI). The Collection Fraud Referral Program has been successful in developing quality criminal fraud referrals. However, there are opportunities to improve the identification and development of Collection function fraud referrals. In United States v. Frase, 2012 U.S. App. LEXIS 19216 (3d Cir. 2012), here, a nonprecedential decision, the Third Circuit affirmed the defendant-appellee's convictions for "one count of conspiring to defraud the United States in violation of 18 U.S.C. § 371, nine counts of tax evasion in violation of 26 U.S.C. § 7201, and three counts of filing false tax returns in violation of 26 U.S.C. § 7206(1)." The defendant appealed pro se (without benefit of an attorney). I address only the defendant's claim that the district court had improperly applied a sentence enhancement for his perjury at trial. Finally, Frase contends that the District Court erred at sentencing by applying a two-level enhancement under U.S.S.G. § 3C1.1 for perjury. "We review the factual findings underlying the District Court's perjury determination for clear error, while exercising plenary review over the District Court's conclusions of law." United States v. Miller, 527 F.3d 54, 75 (3d Cir. 2008). In United States v. Dunnigan, 507 U.S. 87 (1993), the Supreme Court instructed that sentencing courts applying the perjury enhancement must "make independent findings" for "each element of the alleged perjury." Id. at 94. The three elements are: (1) "false testimony," (2) "concerning a material matter," (3) "with . . . willful intent to provide false testimony." Id. Frase asserts that the District Court erred because it did not make the requisite findings of fact and because it applied the enhancement simply because the jury did not believe his testimony. A sentencing court's failure to make explicit findings, however, is not always fatal. For example, in United States v. Gricco, we instructed that "express findings" are not required if false testimony is obvious from the record. 277 F.3d 339, 362 (3d Cir. 2002) (citing United States v. Boggi, 74 F.3d 470, 479 (3d Cir. 1996)), overruled on other grounds, as stated in United States v. Cesare, 581 F.3d 206, 208 n.3 (3d Cir. 2009). After consideration of Frase's testimony, we conclude that the District Court did not err in applying the perjury enhancement. Frase's testimony that he did not know that he was liable for taxes was obviously false, as the District Court noted, in light of his extraordinary efforts over the years to conceal the funds to which he had access. I am not sure exactly when this came out. The pdf copy I have says that it was created in February 2012, so I am behind in getting to it. In any event, here it is. Department of Justice 2013 DOJ Tax Division FY 2013 Congressional Budget, here. To help achieve uniformity in nationwide standards for criminal tax prosecutions, the Tax Division’s criminal prosecutors authorize almost all grand jury investigations and prosecutions involving violations of the internal revenue laws. Alone or in conjunction with Assistant United States Attorneys, Tax Division prosecutors investigate and prosecute these crimes. In the last few years, the Division has authorized between 1,300 and 1,800 criminal tax investigations and prosecutions per year. In news analysis, Shamik Trivedi examines the Justice Department Tax Division's sometimes opaque enforcement process. 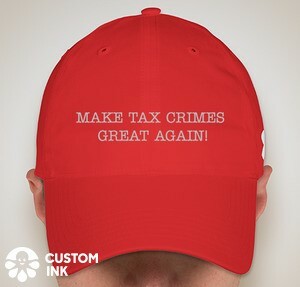 The IRS Criminal Investigation division refers potential tax crimes to the Justice Department Tax Division, which decides whether to authorize a grand jury investigation or prosecution. The investigation and prosecution can be conducted either by the Tax Division itself, or with or through one of the 95 U.S. attorney's offices. As a result, the relationship the Tax Division has with each of those offices is critical to the consistent enforcement of U.S. tax laws. A U.S. attorney typically can bring any number of prosecutions in any number of areas. But for tax charges, no matter the size or scope, all roads lead to the Tax Division for authorization. Title 26 of the U.S. code, which affects every U.S. person, must be applied consistently, and the Tax Division has the last word on whether to authorize tax charges against a defendant. The Tax Division is responsible for all civil and criminal tax trials outside the Tax Court, as well as appellate litigation involving the Internal Revenue Code. How that is accomplished, and how the Tax Division executes the priorities it and the IRS have designated, can be baffling to practitioners. I just reviewed the IRS CI statistics web page, Like Share Print Enforcement Statistics - Criminal Investigation (CI) Enforcement Strategy, here, and revised my Federal Tax Crimes text to reflect those statistics. TABLE OMITTED (BUT SEE DOWNLOAD HERE). The conviction rate is quite high. The data is not presented for convictions, but it is for sentencing. Since convictions result in sentencing, I derive over this 4 year period a conviction rate on Tax Investigations (not including Other Financial Crimes) of 89%. However, DOJ Tax prosecutes more tax and tax related crimes than those referred by the IRS, and as recently as 2007, DOJ Tax claimed a conviction rate on the whole subset at 97%. I am skeptical as to that percentage, but the conviction rate (whatever it is precisely) is high. I link to and excerpt from two recent articles on Credit Suisse's continuing travails for having messed with the IRS. Katharina Bar, Credit Suisse to reveal more data, staff names in U.S. tax probe (Reuters 9/17/12), here. Credit Suisse said it would transfer more information on its money management arm for wealthy Americans to U.S. officials, including more names of its own employees, as part of an effort to settle a tax evasion probe. For the first time, Credit Suisse employees will be told before their names are disclosed to U.S. officials, a bank spokesman said, after previous transfers of information by banks drew criticism. The handover, which does not include names of clients, forms part of ongoing negotiations between the Swiss government and U.S. justice and tax officials, who accuse eleven Swiss private banks of helping Americans dodge taxes through hidden Swiss offshore accounts. Transfers of information have sparked objections from Switzerland's privacy watchdog and a legal complaint against HSBC for handing over data on its employees, which a lawyer said infringed Swiss privacy laws. Banks including HSBC, Credit Suisse and Julius Baer have already passed on about 10,000 employee names in an attempt to avoid the fate of private bank Wegelin, which broke up in January under threat of indictment, bank employees and lawyers said. The Record, a California legal publication, reports on oral argument in a case involved the act of production doctrine which says, in effect, that although the contents of documents may not be privileged, a witness under compulsion to produce the documents via subpoena or summons still has a Fifth Amendment privilege as to the testimony inherent in responding to a document summons. Scott Graham, 9th Circuit Sounds Skeptical on Privilege Claim for Tax Records (The Recorder 9/13/12), here. The trial court ordered compliance with the IRS summons over the claim of the act of production privilege.. I previously blogged the trial court's decision. Previous blog: Summons Production Ordered from Law Firm for Client Documents in Its Possession (4/14/11), here. The players at oral argument were the panel (Judges Graber, Berzon, and Wallace (a designated district judge)), Jay Weill for the summonsed party and Michael Haungs, DOJ Tax attorney. Here are some excerpts. Weill, who was the longtime chief of the Tax Division at the U.S. attorney's office in San Francisco, acknowledged Thursday that the documents themselves aren't privileged, but maintained that the act of culling through the boxes and folders to produce them would be, absent a grant of use immunity. "She's going to have to represent through me that these are the pieces of paper" sought by the IRS, he said, adding that they can't otherwise be authenticated. Graber and Judge Marsha Berzon suggested a simple solution. "If you simply produce the boxes and folders, is there any chance that anybody's going to have a problem with that?" Berzon asked. I post today a reader's result from opting out. Regular readers of this blog's comments will recognize the poster's pseudonym - "ij". He has been a source of excellent comments as he worked his way through the initial filing to opting out and now completing the audit on opting out. So, I offer here his comments. I just got a letter 3800 from IRS, that is a warning letter on my failure to report foreign bank accounts. Even though I recommended $650/year FBAR penalty myself to make it up the tax loss for the closing years after opting-out. IRS decided to issue a warning letter under my examiner's recommendation. I have been lucky to have both examiners who have been treating me with dignity and professionalism. Here are some facts of my case, 12 years US resident with offshore assets peak at 68K plus 50K registered retirement plan. Total tax loss to IRS is around 2K during these years of ignorance. I was such a fool that I even did not claim tax credit on Schedule M in 2009 but IRS corrected my return and gave over $800 back to me. Package submitted in April 2011, revised in July 2011 on PFIC. Full package of bank statement was sent in Jan. 2012 upon request. Form 906 arrived in July 2012, and request of opting-out letter was sent a few days later. Letter 3800 arrived today (Sept. 14, 2012). Yesterday, Donna Guerin, Paul Daugerdas' sidekick and fellow defendant, pled guilty to a conspiracy (18 USC §371), here, and tax evasion (26 USC §7201), here,. The plea agreement is here; excerpt key parts of the plea agreement below. Each count has a maximum incarceration of 5 years; so the maximum sentence is 10 years. She also agreed to forfeit $1.6 million. She and Daugerdas were convicted of conspiracy and evasion in a much publicised trial last year. The conviction was reversed for juror misconduct. Which put them back in the queue for another trial. I think it is important the good Judge Pauley asked her in the plea hearing whether she "she knew she was acting illegally when she helped draft opinion letters justifying tax shelters," to which Guerin responded "I came to that understanding over time.” That's a standard line of inquiry at plea hearings as the judge assures himself that the client is really admitting the crime to which she is pleading. But, because the crimes involved require specific intent to violate the law, it is important to know when she came to that understanding. If for example, she had come to that understanding before the conspiracy was completed and before the conduct to which she pled in the evasion count, then she is guilty of the crimes to which she pled. If she came to the understanding that the conduct could be a crime later, then she is not guilty of the crimes pled. Until and unless the intent is present and coupled with conduct driven by that intent, there is no crime; conduct only coupled with subsequent intent is not a crime (I know that is an oxymoron, but I hope you get the point). If she only came to that knowledge of illegality, for example, after she was indicted, it would seem that there is no crime. Maybe this issue was fleshed out after she gave that response or is addressed in the plea agreement. DOJ Tax issued a press release, here, announcing the sentencing of an airline pilot to a whopping "120 months in prison for committing tax fraud." Actually, the convictions were for filing counts of "10 counts of filing false tax returns and one count of obstructing the IRS." It is unclear from the press release the precise nature of the 10 counts of conviction, but, as described in the quote, those counts appear to be Section 7207 counts. Section 7207 is here and is titled "Fraudulent Returns, Statements, or Other Documents." Section 7207 is a misdemeanor permitting a maximum sentence of 1 year per count. With the tax obstruction count under Section 7212, here, a 3-year count, the maximum incarceration permitted for all counts of conviction was 13 years (156 months). Still, 120 months is a very large sentence in tax cases. Trying to reconstruct the Guidelines calculation, the restitution ordered for the IRS was $538,569. Hence the tax loss was at least $538,569. (It may well be that the defendant had already paid some of the tax loss, so this should be a minimum and there may be a $1.5 million addition as noted below.) And, the defendant also appears to have fraudulently underpaid state taxes of $150,000 which may have been considered relevant conduct.. So, I am going to estimate (unscientifically) that his tax loss was at least $900,000, which would produce a Base Offense Level of 20. Since the income appeared to be legal income, the only Specific Offense Characteristic that might apply would be sophisticated means and, as described, his conduct does not appear to have used sophisticated means. The only other adjustment might be obstruction, which would add 2. So, the Sentencing Table will produce a guidelines range of 51-63 months. It would thus appear that the judge departed or varied upward -- a rarity in a tax case. However, there is one ringer. The defendant filed fraudulent delinquent returns "requesting fraudulent refunds from the IRS in amounts up to approximately $1.5 million." So, his tax loss probably was more in the range of $2.4 million, which would indicate a Guidelines level of 26 and an indicated sentencing range of 63-78. This would still indicate an upward departure or variance. Walter Anderson has occupied the attention of the IRS and the courts for some time now. (See his Wikipedia entry, here, appropriately titled "Walter Anderson (tax evader)." I have previously blogged on him -- Walter Anderson -- The Fight Continues (2/2/11), here. Mr. Anderson just lost an appeal regarding his civil tax liability for the years for which he was convicted. See Anderson v. Commissioner, 698 F.3d 160 (3d Cir. 2012), here. The gravamen of the holding on appeal is the well settled proposition that a tax evasion conviction is collateral estoppel for the year(s) of conviction as to tax fraud for purposes of the civil fraud penalty and the unlimited statute of limitations. The amount can still be in issue, but Mr. Anderson ultimately stipulated the amount in the Tax Court. Thus the court said early in the opinion that "we agree with the numerous courts that have held that, under the doctrine of collateral estoppel, a conviction for criminal tax evasion conclusively establishes the defendant's civil liability for tax fraud for the same year." (Citations omitted.) In reaching the conclusion, the court analyzed the basis for his plea agreement and determined that it necessarily included as admission that certain income was taxable to him and that the admission was necessary to the conviction. Mr. Anderson also argued that the IRS's concession in the Tax Court as to three years for which Mr. Anderson had not been convicted was necessarily a concession as to the two years for which he was convicted, arguing that the fact patterns were the same. The IRS's concession for the nonconviction years, however, was a strategic one because most of the income was in the years of conviction and thus having to mount the substantial burden of proving fraud and the tax involved for the nonconviction years was not justified. But, that concession was not a concession that the taxpayer had not committed fraud in those years. Circuit Splits blog has a discussion of a circuit split regarding the application of the Sentencing Guidelines relevant conduct concept. Fourth Circuit Joins Lopsided Split in Authority Over Grouping Guidelines (Circuit Splits Blog 9/4/12), here. The blog discusses United States v. Horton, ___ F.3d ___, 2012 U.S. App. LEXIS 18423 (4th Cir. 2012), here and here. Horton is a nontax case, so I won't dwell on the details of the facts giving rise to the issue, but will state the issue and its potential relevant to tax crimes case. The issue has to do with the concept of relevant conduct and, specifically, how criminal conduct other the counts of conviction can be factored into the Guidelines sentence. In criminal tax cases, the principal driver for sentencing is the tax loss which determines the Base Offense Level under the Tax Table. See Sentencing Guidelines §2T1.1, here, and §2T4.1, here. The higher the tax loss, the higher the indicated Guidelines sentencing range (subject to adjustments before the Sentencing Table is applied). Relevant conduct requires that the tax loss for noncharged conduct be included if relevant, as defined in the Guidelines, and the Government proves the conduct and tax loss at sentencing by a preponderance of the evidence (some courts might say by clear and convincing evidence). If, as is usually the case the defendant pleads guilty, the relevant conduct will usually be stipulated in the plea agreement. Counsel Jay Nanavati published “Why Holders of Foreign Bank Accounts Need to Worry About IRS's Voluntary Disclosure Data-Mining Program” in Bloomberg BNA on August 28. Use of data-mining technology, like Facebook or LinkedIn's ability to suggest people to whom you may be connected, is widespread. In fact, Nanavati writes, the Internal Revenue Service (IRS) has adopted it to find taxpayers with undisclosed offshore bank accounts. U.S. taxpayers who are still considering whether to disclose their accounts need to understand that IRS's data-mining software, E-Trak Offshore Voluntary Disclosure system, increases their risk of being detected. Additionally, the phasing in over the coming year of the Foreign Account Tax Compliance Act (FATCA) will only increase the breadth and depth of the data available to IRS and E-Trak. Taxpayers should act accordingly and seek legal advice immediately, he warns, as taxpayers whose accounts IRS has discovered are ineligible to participate in the Offshore Voluntary Disclosure Program (OVDP). However, taxpayers with undisclosed accounts have options, says Nanavati. First, they can enter the OVDP and pay a penalty. Second, they can enter the OVDP and choose to “opt out.” Finally, the taxpayer can make a so-called quiet disclosure. Those not aware of their U.S. tax obligations can face civil and criminal penalties for nondisclosure, notes Nanavati. The only way to deal effectively with the internationalization of tax enforcement is to get out ahead of IRS and talk about your options with an attorney, he concludes. The White Collar Crime Blog has this offering: Lawrence S. Goldman, Prosecutorial Overcharging is Not "Regular" (White Collar Crime Prof Blog 8/28/12), here. Mr. Goldman offers a good succinct discussion of one aspect of charging decisions of federal prosecutors. Mr. Goldman rebuts the notion, sometimes made and recently appearing in a New York Times editorial, that, in order to force a plea, "[p]rosecutors regularly overcharge defendants with a more serious crime than what actually occurred." The notion is that, fearing conviction of the aggressive more serious crime, the defendant will plead to a lesser crime. The notion is rebutted by a letter to the New York Times, here, from USAO for DNJ. I recommend both the letter and Mr. Goldman's article. I use them as introduction to my offering some excerpts from the manuals for federal charging and plea policies and practices in federal criminal cases generally and then in federal criminal tax cases. Since the great majority of cases plead, there is a correlation between the plea policies and the charging policies. In most cases, I eliminate case citations except where I feel them important and have eliminated footnotes; case citations and footnotes are in the original materials for which I provide links. Treaty Form 8891 Relief. The announcement includes the IRS's decision to permit a request for failure to timely elect deferral of income from certain retirement or savings plans where deferral is permitted by relevant treaty. This will impact most prominently the Canadian RRSPs. This relief will be available also under the Offshore Voluntary Disclosure Program as well. Eligibility. The best presentation of the eligibility requirements is on the questionnaire that a taxpayer must submit. The taxpayer qualifies only if each of the following questions answered No. 1. Have you resided in the U.S. for any period of time since January 1, 2009? 2. Have you filed a U.S. tax return for tax year 2009 or later? 3. Do you owe more than $1,500 in U.S. tax on any of the tax returns you are submitting through this program? 4. If you are submitting an amended return (Form 1040X) solely for the purpose of requesting a retroactive deferral of income on Form 8891, are there any adjustments reported on the amended return to income, deductions, credits or tax? Amended returns submitted through this program will be treated as high risk returns and subject to examination, except for those filed for the sole purpose of submitting late-filed Forms 8891 to seek relief for failure to timely elect deferral of income from certain retirement or savings plans where deferral is permitted by relevant treaty.